Every space has its unique challenges–and often those challenges are part of their charm. It’s always a treat when we can find ways to use those unusual nooks and crannies as part of a plant program. Below, check out three recent favorites! An empty stretch under the stairs can be tricky to design around. Even if it’s not closed off, it can become a de-facto storage area, which isn’t always pretty. 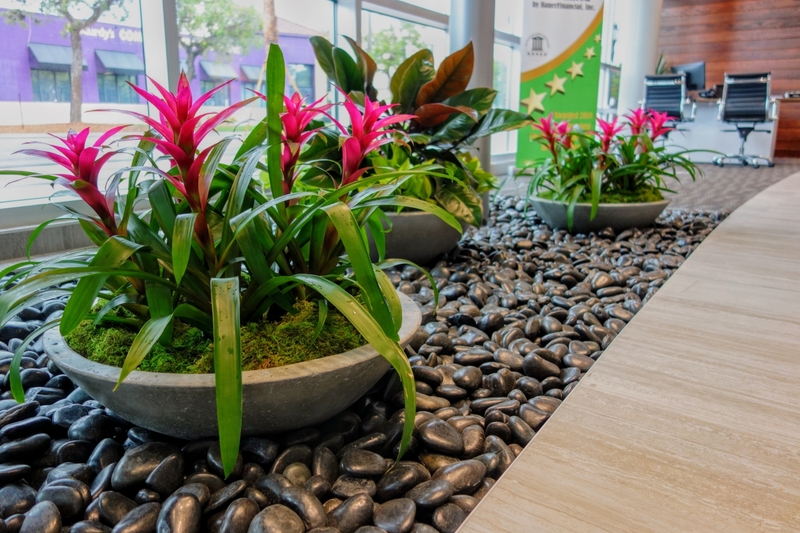 With a little creativity, this client was able to take full advantage of their space, filling in a small depression with black polished stone and topping it off with bowls brimming with tropical color, creating a memorable installation that draws visitors from inside the building and off the streets. 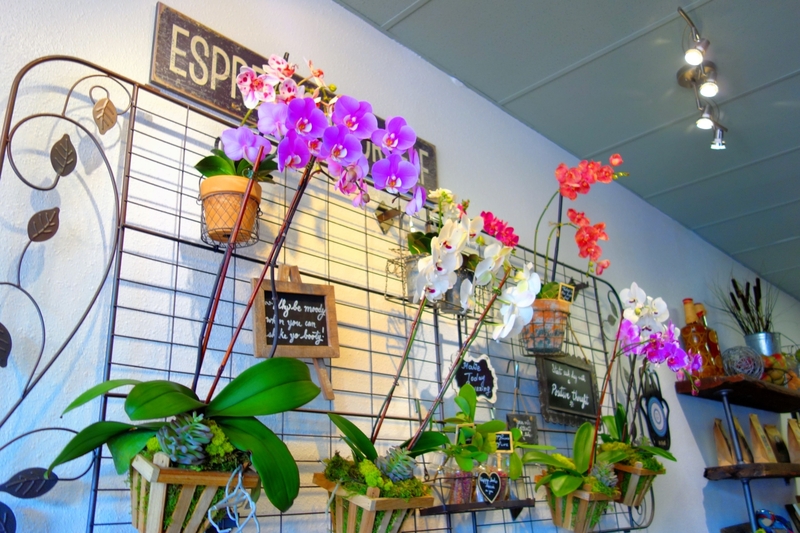 This cafe owner loved orchids–but with a busy business, there was only so much space to add more. 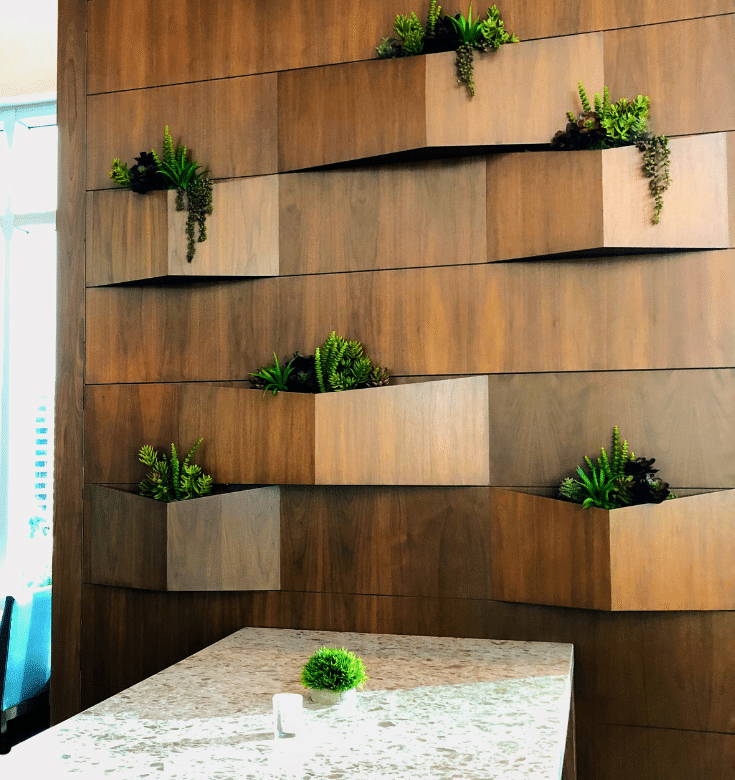 We worked with them to develop a system for adding orchids to this wall installation for an eye-catching take on the green wall. It’s easy to customize this piece with fresh plants and accessories, making it a great conversation piece that always has something new to offer. This bar had a really interesting, geometric wood wall. The wall was striking empty, but adding small succulents to the built in pockets upped the ante. A mix of upright and trailing pieces creates a look that’s on trend and so very Instagram-able. Have an odd spot in your home, office, or business you’d like to transform? Give us a call! We’d love to work with you!